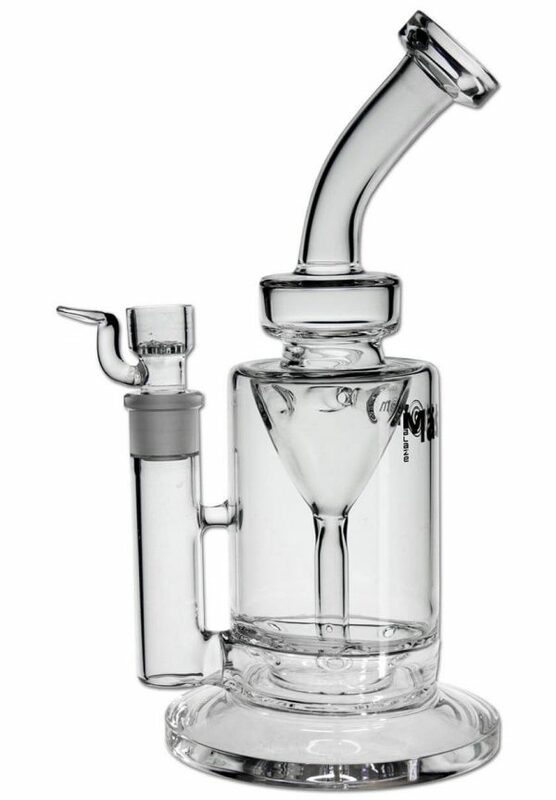 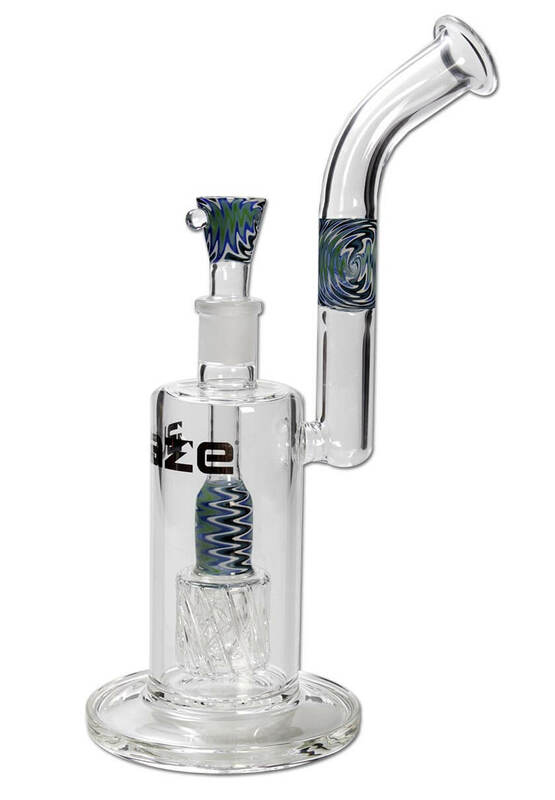 This beauty sports an inline percolator and some crazy-looking glass work. Another shortie, this one doesn’t mess around with a smooth toke, though. Hypnotizing and effective, the Balzru is a sure winner. 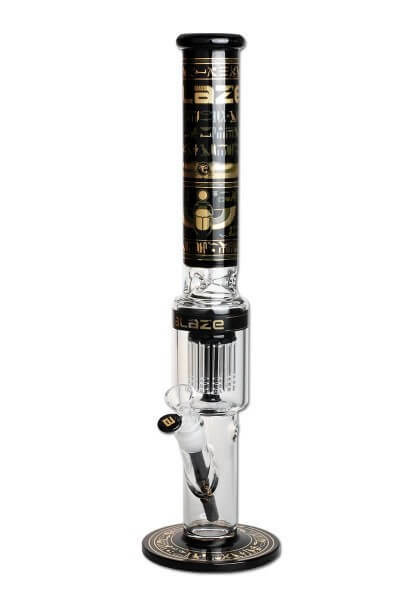 This beautiful glass bubbler with colorful glass parts of our premium brand ‘Blaze Glass’ has a large water chamber and a double inline percolator, whereby the smoke is pleasantly cooled. 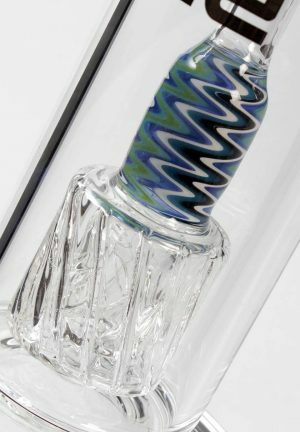 The rim of the mouthpiece is flared slightly for added comfort. 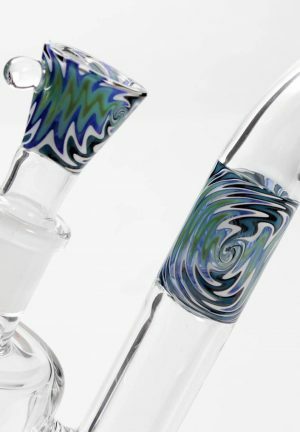 The colorful bowl for dry herbs has a roll-stop function and fits in color to the rest of the water pipe. 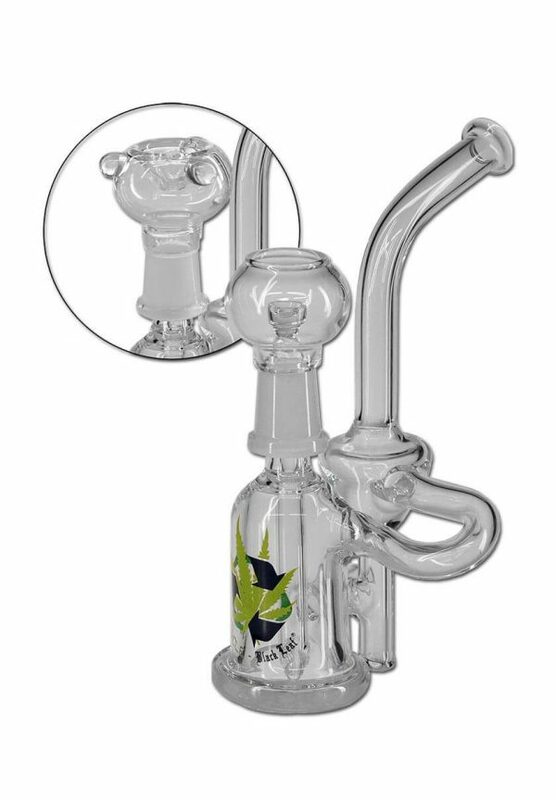 The bong is handmade of high quality, 5mm thick borosilicate glass. 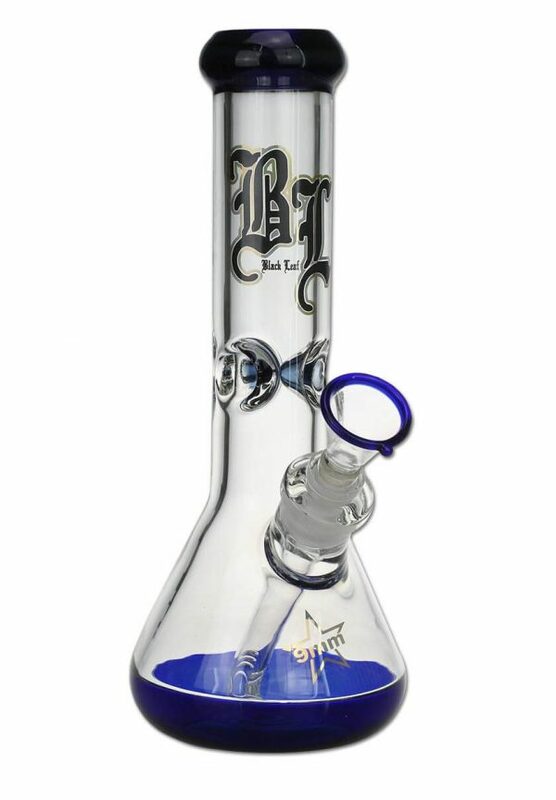 On the front is the silver ‘Blaze Glass’ logo.